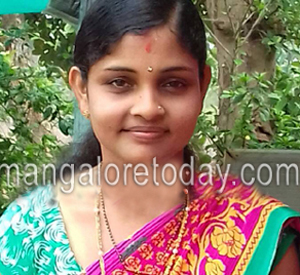 Karkala, Apr 27, 2017 : Karakala police arrest three persons on Thursday, April 27 in connection with the suicide of Surekha wife of Prakash in Karkala. Sri Rama Sene leader Roshan Kotian Irvathur, Bharati and Shobha co-sisters of deceased Surekha are the accused arrested. Surekha had married Prakash five years ago have a four year old son. Surekha commited suicide by hanging herself on April 25, Tuesday. She had left behind a suicide note. Suicde note revealed the fact that there was some issue going on regarding illicit relation with Roshan Kotian,Bharati and Shobha. As they knew that Surekha came to know about it had threatedned her of dire consequences to kill her husband and child if she revealed the fact to anyone. Surekha was helpless and surrendered herself committing suicide. The woman shouldn’t have taken the extreme step, she has put her hubby and child in trouble.